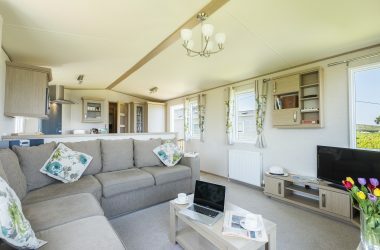 If you’re holidaying in a large group, or just prefer to have a bit more space, the comfortable Roxbury caravans have a useful third bedroom. 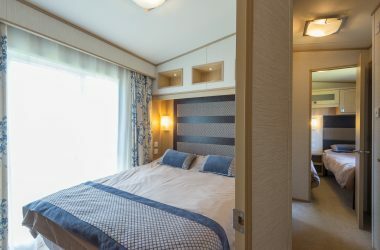 Most of these high-spec caravans also have lovely sea views (please check when you book), and all have light and contemporary décor. The large sitting area is comfortable and tastefully furnished, with a modern-style electric fire for cooler days. The kitchen is well-designed and equipped with everything you could possibly need. 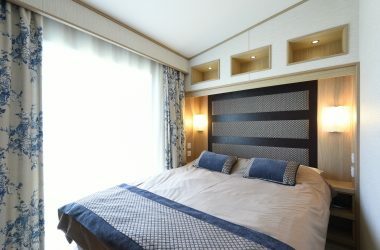 The three bedrooms are attractively decorated and have plenty of storage. There’s also an extra WC – essential for larger groups! 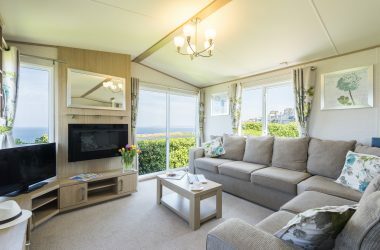 It’s a lovely walk from Ayr Holiday Park into St Ives – so leave your vehicle behind and stroll down to the beautiful beaches, pretty little streets, and bustling bars and cafés. In the other direction, you can pick up the South West Coast Path from the campsite, and head out west to enjoy the spectacular scenery. Why not pop next door to the Garrack. 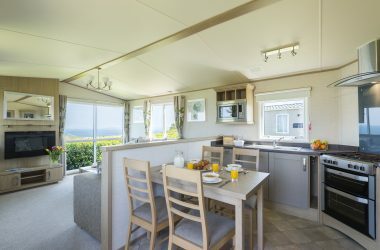 We own and manage this lovely welcoming hotel, Ayr guests can have a dip in the indoor swimming pool (for a small charge), and tuck into delicious local produce in the AA rosette awarded restaurant or café bar with wonderful sea views. 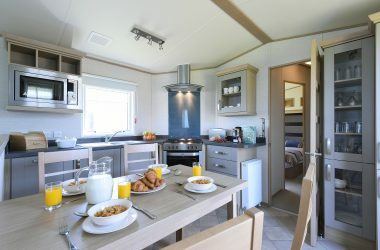 Please book a static caravan holiday online. Click the make the reservation button below and check availability and book your holiday.